Tonight was the keynote address of the final Final Fantasy 14 Fan Fest event, this time taking place in Tokyo, Japan. Final Fantasy 14 director and executive producer Naoki Yoshida took to the stage to reveal more information about the upcoming Shadowbringers expansion. At the last Fan Fest, Yoshida and team showed off the Alliance Raid, which will be based on Nier: Automata, with help from Nier Automata, Dragon Quest 10, and Dragon Quest 11 executive producer Yosuke Saito and Nier Automata director Yoko Taro. But there are more raids! The new normal Raid series for Shadowbringers is Eden, with bosses and characters designed by Final Fantasy character designer and Kingdom Hearts director Tetsuya Nomura! The world players are heading to in Shadowbringers has no elements, and players have to bring those elements back to the world. Completing the raid will return the elements to the world one at a time. Yoshida showed off one early character by Nomura, a woman called Gaia. 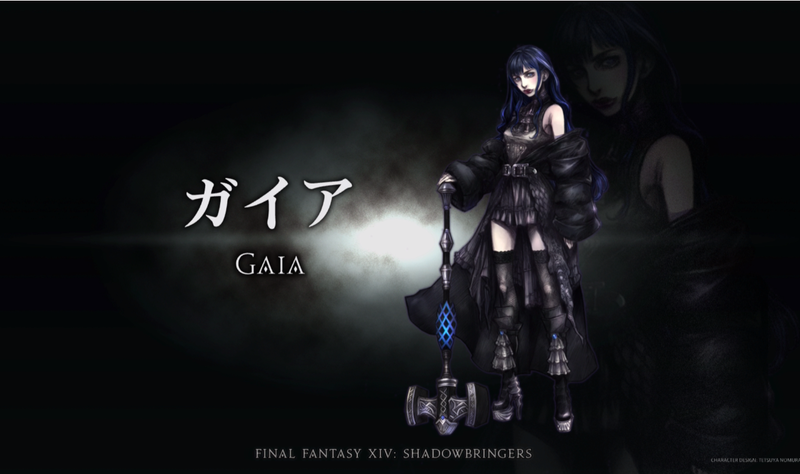 Interestingly enough, Gaia uses a hammer, a weapon that's not currently available in Final Fantasy 14. Nomura designed the character before he realized the weapon didn't exist, but the team is just rolling with it.